Leave it to famed rock ‘n’ roll photographer and visual director for Depeche Mode and U2, Anton Corbijn, to make his second feature film an achingly beautiful event and so very European for its American production company. With a clever tip of the ten-gallon hat to Sergio Leone’s highly influential spaghetti westerns, The American strolls across the screen conveying its drama with an emphasis on the human face as one assassin steps out of the shadows to bathe in some momentary sunshine. Beginning with the same sweeping grace not unlike Schubert’s ‘Serenade’, The American opens with a note of prolonged silence as the camera slowly tracks toward a lone cabin set against a bank of snow. This silent “tease” is only a hint of things to come. Soon, we understand that we are somewhere in Sweden and inside that cabin is a dangerous man; an assassin named Jack (George Clooney). Precious minutes tick by and still the silence resonates; his face tells all – one close-up after another. He is beyond tired; tired of running; tired of the chase; and something tells him that he’s lost his edge. Maybe it is the woman on the bed behind. Regardless, Jack is The American and this is his chance to finally break free. Unapologetic, the silence throughout the film – once the dialogue begins and the minimalist soundtrack starts – absolutely saturates this film with a reserved note of grace. With a small, but fabulous cast that includes Violante Placido, Thekla Reuten, Paolo Bonacelli, and Irina Björklund, The American weaves a spell over its audience with stunning Italian scenery – namely the mountains of Abruzzo - and beautiful close-ups that reveal more about character than its screenplay, written by Rowan Joffe, does. That’s not to take away from the screenplay, though, as it does have some nice and detailed touches that arc beautifully with the returning image of an endangered butterfly as it flutters against the wind. Clooney, in what can only be described as another genuinely brilliant performance of subtle nuances, absolutely delivers an intriguing portrayal of a man caught in the cog of routine when he knows that a “normal life” requires human connection. Caving in to what he knows to be wrong for a man of his occupation, he reaches out. Boldly, because he is too tired to care anymore. Yet, maybe he cares too much. For the first time, he is acting selfishly. First, to Father Benedetto, listening to the old man discuss life and the people in his church. Then, to a prostitute named Clare, developing their bedroom passion into a romance that transcends his money. Both connections he juggles for friendship and intimacy, trying, at the same time, to finish one last job for the man who pays him handsomely to kill people. The new job, though, is unlike the others. It’s a small job: the delivery of a high-powered (but silent) weapon for a mysterious woman that, in another life, he might have pursued. As the human connections expand, Jack feels the constriction around him. Clooney, once again, dazzles the audience with a muted performance that reveals the soul and scars of the assassin as he closes in on the life he’s denied himself...up until now. 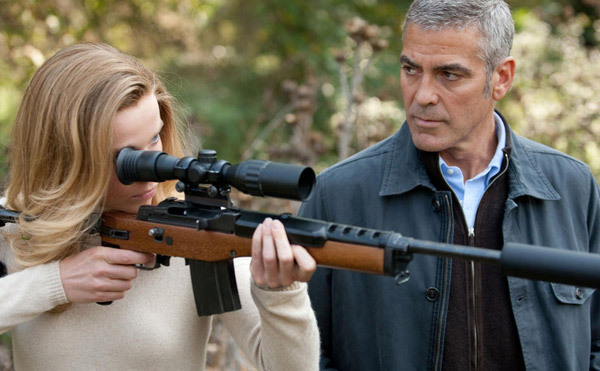 Combining the performances from Michael Clayton and Up in the Air with the hurting consciousness of a hired killer, Clooney should get the attention of Oscar this season and deservedly so. Rest assured, The American is more than the sum of its trailer and marketing campaign. This isn’t some Jason Bourne knock-off; Corbijn does not the shaky camera use in this beautifully shot and photographed film. It’s slow in pace and steady all the way through. Corbijn’s film is also art. Pure and simple. Some of the pastoral sequences here could be mistaken for the work of Ansel Adams - they are that well-photographed and beautifully realized. Thanks to the efforts of Corbijn and his artistic mind, The American is, ironically enough, a very European treat for any audience starved for true verisimilitude in location and story. Passionate comes to mind, but I’m not even sure you could label this film as a Romance. It involves one, but somehow avoids the necessity to call it as such. Marked with a minimalist’s approach to dialogue, The American – while suspenseful – plays with the elements of Good verses Bad in such a fashion that it could be labeled a Western. Yet, it isn’t that either. It’s just a damn good film. 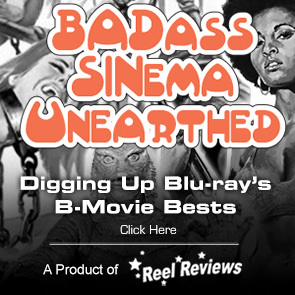 Unflinching in its direction, The American works to transcend traditional limitations of genre. Consider it one long photograph that will frustrate most with its lingering ways. As a result, there really is no pure way to market this film. I know, I know, a recipe for disaster if ever there was one. Still, Corbijn’s The American is an absolute treasure of location and nuance that I will gladly revisit. Wow. Universal's 1080p/VC-1 encoded transfer of The American is fantastic. Fans of the film will appreciate just how achingly beautiful the photography of the film is; looking better than it ever did in theatres. Everything – every shot - is classy and every frame is art. The American really is a work of isolated beauty. The crisp colors are solid and the detail is extreme. The contrast levels are consistently strong with no banning, no intermittent ringing, and whatever inconsistencies that are present are there because of the design of the film. The sound, also strong, is presented in a DTS-HD Master Audio 5.1 surround track, relatively low-key, making the gunfire absolutely pop when it does occur. This is beautiful work from Universal. There is one brilliant commentary from the contemplative director of the film, Anton Corbijn, which is as thoughtful as it is precise about the location, the story, and its characters. There aren’t a lot, but for this quiet movie, there doesn’t need to be a smattering. Clooney’s absence in the commentary and in the supplementals is noticeable and regrettable, but the making-of featurette does showcase his on-set antics, but is all-too brief to be satisfying. Thankfully, the commentary makes up for this loss. The deleted scenes don’t really add much to the film and it is obvious why they were trimmed from the final cut.